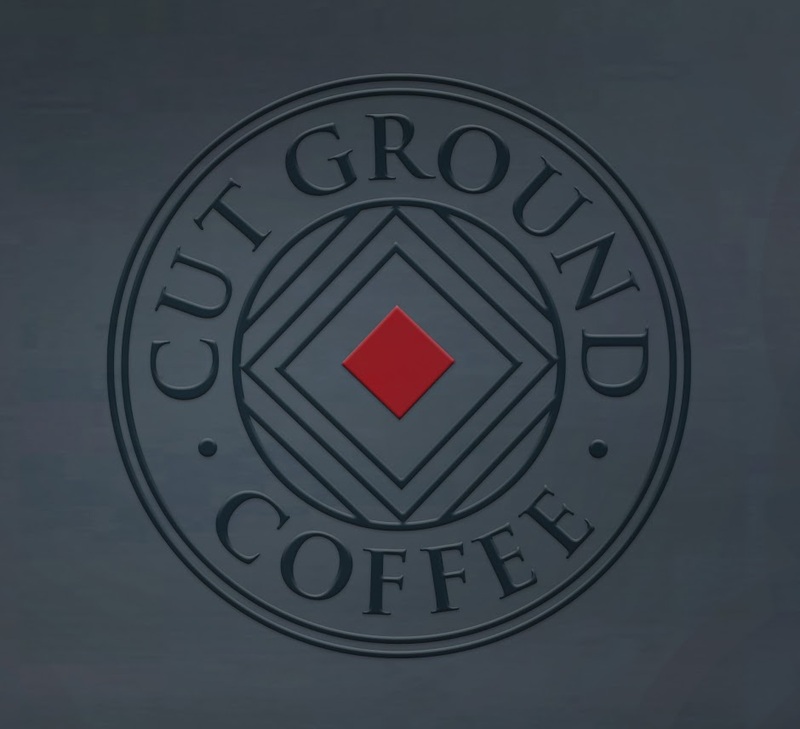 Cut Ground Coffee is a boutique blend brand with a distinctive, rich taste that prides itself on using ethically sourced beans of the highest quality. By building lasting relationships with plantation farmers and understanding the local communities in which the plantations exist, Cut Ground Coffee is able to deliver coffee that not only tastes good but also truly makes a difference. 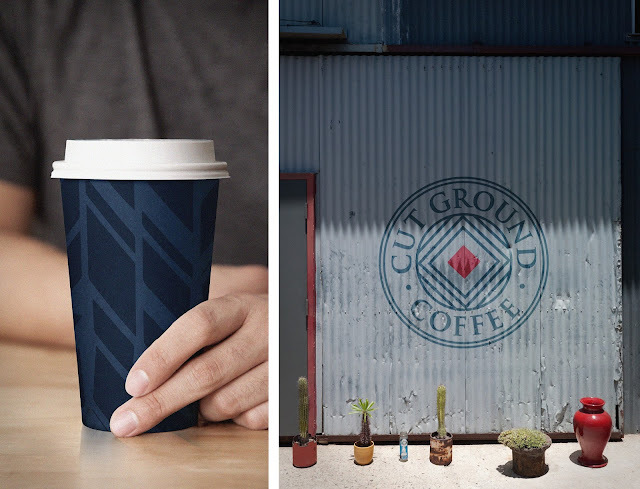 Cut Ground Coffee was set to enter a retail landscape saturated with other coffee brands. 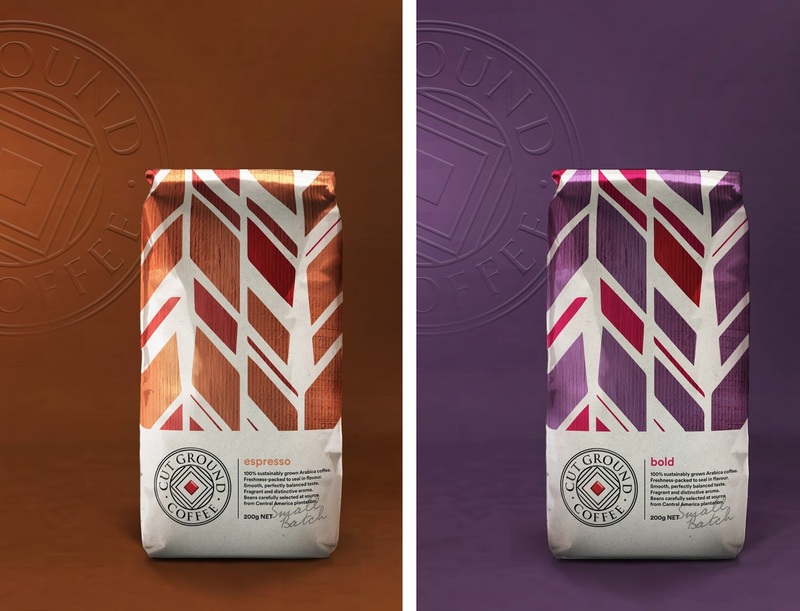 Cut-through branding and packaging was needed in order to set them apart and highlight the genuine story and good ethos behind the brand. The creative concept was informed by the coffee plantation process and inspired by the brand name. Every 3 years the cropping of the coffee plant is almost cut to the ground to encourage vigorous growth, however, in contrast to other plantations, they are shade-grown shrubs. 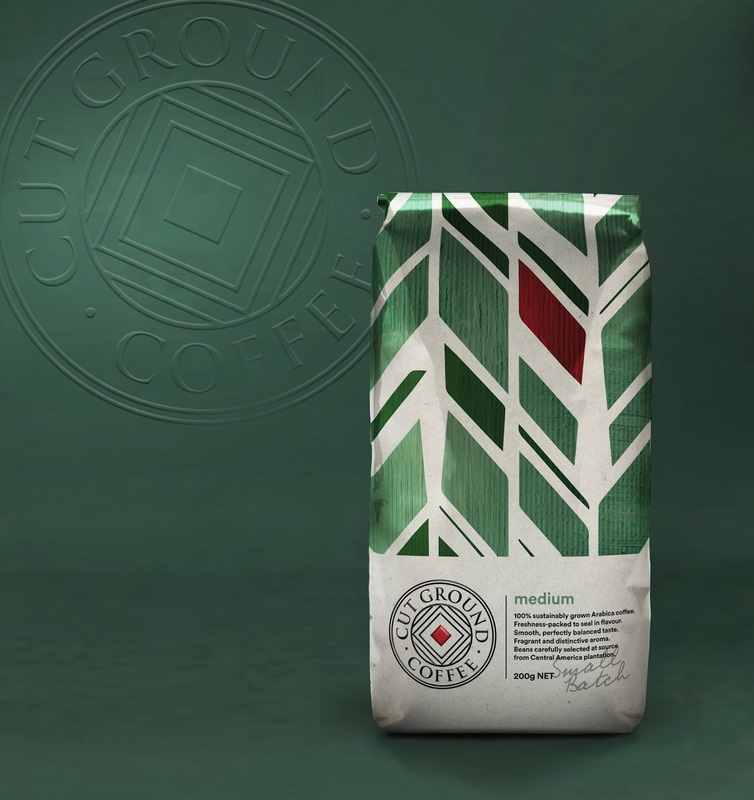 This prevents clear-cutting of forests for full-sun plantations and less damage to the environment. 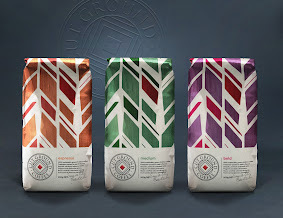 The plantations are visibly more colourful with organic shapes, dense patterns of the leaves and rich textures throughout. 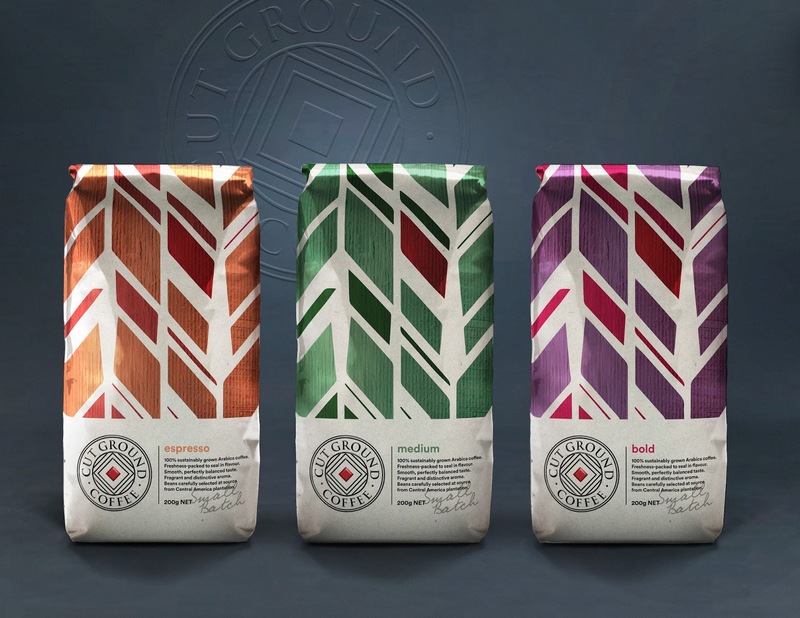 All of these aspects are reflected in our packaging design to help communicate the brand story and their ethos. Once in the cup, it is clear by the flavour that Cut Ground Coffee is exceptional in taste and quality. The refined and elegant execution of the brand marque stands in strong contrast to the more rugged, rougher designs in market and acts as an official stamp to endorse its origins and the clarity of its product. 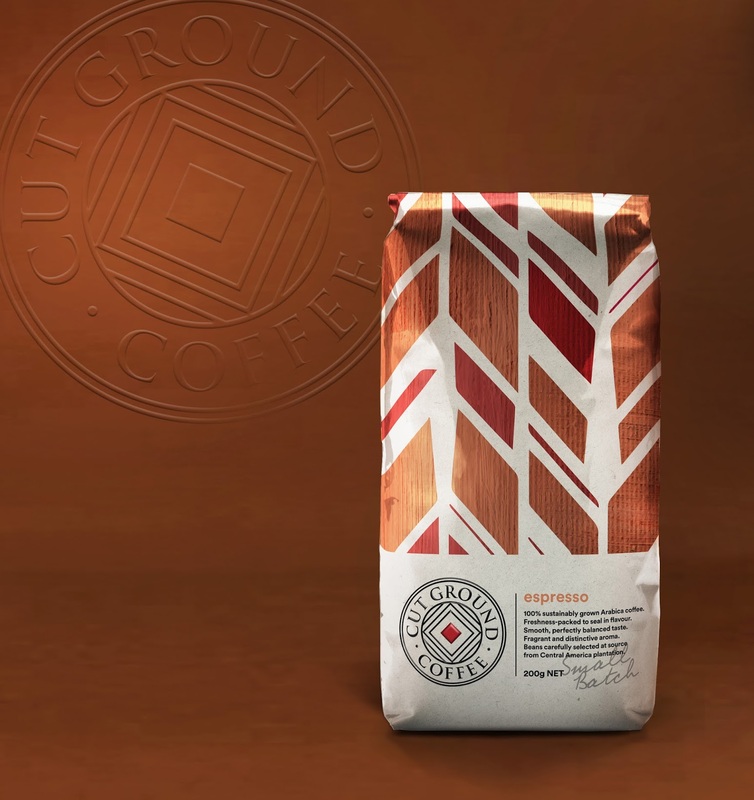 Cut Ground Coffee uses biodegradable coffee bags to reinforce their position on being organic and environmentally friendly separating themselves from other coffee brands.